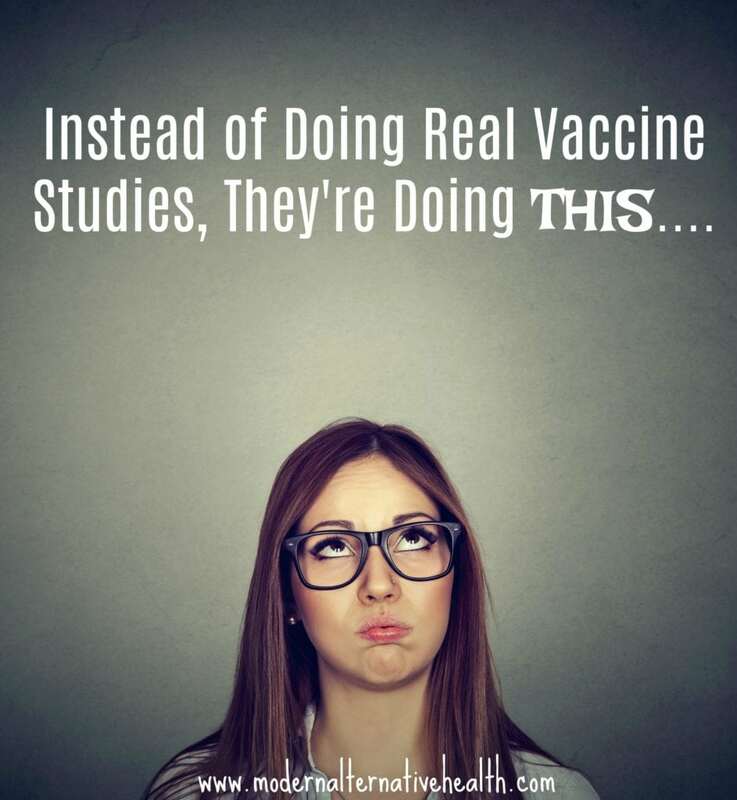 Instead of Doing Real Vaccine Studies, They’re Doing THIS…. We still do not have adequate, far-reaching studies to put to rest some of the very important questions that parents have. It seems like the mainstream is more interested in mocking and trying to discredit people who ask questions instead of actually doing the necessary research to answer those very valid questions. If you ever wondered what they’re doing instead of legitimate research…I have the answer. We have all heard some rumors over the last few years that the education on vaccines in medical schools is woefully inadequate, and that professors spend more time teaching medical students how to “overcome vaccine hesitancy” (i.e. manipulate parents) than they do on the actual facts. There have even been recorded conferences of doctors and professors doing exactly this — trying to teach young medical students and residents how to convince reluctant parents to vaccinate, using emotive language instead of facts. The whole thing is frankly disgusting. If vaccination has such solid science behind it, then all of these primary care doctors should know the science (since vaccines are kind of the base of their practice; one of the most commonly-given drugs) and should be able to explain it to parents who have questions. They should not be afraid to actually address concerns using calm, rational, science-based language. The more that they yell and scream and try to manipulate, the more people are going “What is going on here? Why can’t they just answer our questions? They must have something to hide!” Ultimately, by refusing to do the real science and instead relying on anger and propaganda, they are shooting themselves in the foot. A Ph.D. epidemiology professor at Kent State University, Tara C. Smith, has completed a paper entitled “Vaccine rejection and hesitancy: a review and call to action.” Here is her bio and contact info. Why a professor and experienced researcher doesn’t have anything better to study, I don’t know. It displays all that is wrong with the pro-vaccine camp right now. That this topic was even allowed as a Ph.D. dissertation, instead of real research, is incredibly disheartening. And that’s before we even dive into the content. As the article actually starts (it’s not even really a study), the author first regurgitates all of the usual pro-vaccine arguments: the 1998 paper that linked the MMR to autism (it didn’t), vaccines are a victim of their own success because people have never really seen these diseases (they’re not, and we have), and so on. Then, the author decides that all of this really the fault of several “thought leaders,” including mommy bloggers (like me!). Apparently, we use falsehoods to sway people to think vaccines are dangerous and illnesses are safe. Nowhere does the author address any of the legitimate arguments made, nor any of the studies linked. I wonder why? The author also makes the argument that these “thought leaders” profit from the “spread of misinformation.” i.e. if they get clicks to their blogs, or sell books or movies, they earn money — and she implies, that’s why they’re doing it. The author goes on to suggest that anyone who completely rejects vaccines cannot be reasoned with and is usually just a conspiracy theorist. Only people who are “hesitant,” but who could be swayed by medical propaganda, are actually potentially intelligent and rational people. At this point, the author begins to discuss ways to overcome hesitancy and convince parents to vaccinate. While she allows that providing scientific information and actually answering questions is important, she says it is not enough. Effectively…they want to take pro-vaccine parents, who may or may not know anything at all about vaccine science, and use them to try to sway other parents to “follow the leader.” They want to put cultural and societal pressure on these parents to make them think vaccinating is normal. I’m sorry, but I’m not seeing how this is okay. If they’re speaking out about the “uneducated” people who discuss the potential risks of vaccines because they don’t know what they’re talking about, how is it okay for them to recruit “uneducated” people to spread their message — that all vaccines are safe and you should get them? I don’t understand why doctors who have serious concerns about vaccines are so easily dismissed, and they’re recruiting parents to promote vaccines. This only proves what I learned long ago — saying vaccines are great makes you right; saying there are concerns makes you wrong. Regardless of your educational background. This is hugely concerning to me, and should be to everyone else, too. Finally, while there may be no single leader of an anti-vaccine “movement,” many of those listed in Table 2 are highly media-savvy and unafraid to push their opinions that vaccines are dangerous, full stop. Scientists, by our training and often by our nature, are often loathe to think of issues without bringing in shades of gray, while vaccine thought leaders frequently express strict black-and-white thinking. Advocating for vaccines isn’t always easy; it may necessitate leaving one’s comfort zone, and open one up as a target of harassment . Well, that’s interesting. Very interesting, given that pro-vaccine advocates are actually extremely black-and-white. “Vaccines are good, normal and necessary and basically everyone needs to get all of them. Period. Anyone who questions that is anti-science.” That has been the message that has been clearly shared across the media and in many medical offices for years. Meanwhile, the “anti-vaccine” leaders are saying “Wait, hold on, we have some questions. What about this issue? What about that one? We haven’t adequately studied this. Let’s be skeptical until we have some better answers.” That’s a very ‘shades of gray’ position! Let’s not even start on the “harassment” angle! The “anti-vaccine” people suffer much more harassment than pro-vaccine people do! They regularly receive death threats, are told that people hope their children are taken away or even that they die. They are ridiculed, kicked out of places, mocked mercilessly in the media. I don’t see a single leg to stand on here for pro-vaxxers. This is all so very backwards. It’s like the author is so firmly entrenched in her worldview that she literally doesn’t understand why people might think differently. She has made no effort to truly understand the concerns or “arguments” of those who question or refuse vaccines. She has made no mention of children who have been harmed by vaccines, or that many of the so-called “thought leaders” are such because their children were injured. The whole thing is really very bizarre. It gives us great insight into the minds of these blindly pro-vaccine puppets…but it does nothing to actually help medical professionals understand. Legitimate arguments and the science supporting them (and there are entire books of published studies) have been completely ignored. Why? Let’s start with the arguments! No, I don’t think this is true. I think they mean well but have gone completely wrong. There are people who do think this. But let’s set that aside, as it has nothing to do with science. No one is concerned about the level of antigens that a child is exposed to, which is what the pro-vaccine camp pretends is the issue. They are actually concerned about the levels of all the other ingredients that the child is exposed to, with an underdeveloped immune system, difficulty eliminating high levels of heavy metals, etc. Natural immunity is longer-lasting than vaccine-induced immunity. It is not always life-long/permanent, but it is longer. For example, this study showed “rapidly decaying immunity” from DTaP for pertussis after just 4 years. Meanwhile, immunity to pertussis after natural infection lasts closer to 20 years (study). More and more studies are coming out, showing that the “protection” from vaccines doesn’t last as long as originally thought. Specifically in a “vaccinated vs unvaccinated” study or as the full schedule. This is accurate. No well-designed studies have looked at either issue. They can, and some do. This study shows that rotavirus sheds heavily for as long as 28 days. This study deals with a vaccine not used in humans, but demonstrates how shedding works to infect others. This study shows how measles spread from a recently-vaccinated person, and how difficult it is to tell whether the strain spreading is wild or from vaccination (thereby proving when they blame “unvaccinated children” they don’t actually know). This study shows that OPV (oral, live polio vaccine) sheds for up to 2 months in most patients. It’s no longer used in the US, but is in developing countries (you know…the places where polio is still epidemic). This is a case study of vaccine-strain varicella shedding to a family member. The point is…when it comes to live virus vaccines (rotavirus, nasal flu, MMR, varicella), it CAN and HAS happened. Supposedly, they were going to “debunk” these in other materials…but I just shared plenty of studies proving many of them, so…. The next table lists 16 “thought leaders” who are supposedly strongly influencing the anti-vaccine movement. I’ll list and link them all for you. Dr. Andrew Wakefield — Wrote the 1998 paper that supposedly kicked off this movement (but it really started way before that). This paper dealt with colitis in children with autism and had nothing to do with vaccines. They noted a potential correlation between vaccine-strain measles and recommended further research. That’s it. Dr. Robert Sears — Wrote The Vaccine Book, and has promoted doing more vaccine research and looking at alternative/delayed schedules (but is not against vaccines as a whole). Dr. Sherri Tenpenny — Has written a couple books on vaccines, and is a private-practice doctor. Dr. Toni Bark — Private practice doctor; integrates homeopathy and alternative medicine in her practice. Dr. Suzanne Humphries — Wrote Dissolving Illusions: Disease, Vaccines and the Forgotten History and is a private-practice doctor. Dr. Larry Palevsky — Private practice and holistic doctor, has participated in a couple major documentaries (The Truth About Vaccines and The Greater Good). Dr. Joseph Mercola — Author of Mercola.com and promotes health freedom. Jenny McCarthy — Was active in the movement 10+ years ago, but has little to do with it today. Most who question vaccines do not know who she is now. She did speak out about her son’s vaccine-induced autism in the early 2000s and was an important figure for those starting to speak up. J.B. Handley — Co-Founder of Generation Rescue and major contributor to Age of Autism. Robert F. Kennedy, Jr. — Environmental lawyer, politician, and vaccine safety advocate. Sarah Pope — Author of The Healthy Home Economist and medical freedom advocate. Megan Heimer — Author at Living Whole and medical freedom advocate. Vani Hari — Author of Food Babe. Mike Adams — Author of Natural News. They actually left out many, many important figures. Note that almost half of these people are doctors. (And there are many other doctors, too, like Dr. Tetyana Obukhanych, Dr. Russell Blaylock, Dr. Paul Thomas, and lots more.) Others you may be interested in include The Thinking Moms Revolution, Your Baby Your Way, Collective Evolution, and Levi Quackenboss. There are plenty more beyond that…these are just the ones I first thought of. I’m quite honored to be named among these “thought leaders,” honestly. It means the work I’m doing to share the real science is making a difference! But, this whole thing does strike me as strange. If they really are interested in the science, and the science surrounding vaccines is solid, why was any of this necessary? Why waste time trying to ferret out arguments and pretend that they have no merit — when I showed that some do? Why worry about “thought leaders” and what they’re telling people? Why not examine themselves instead of going after others? 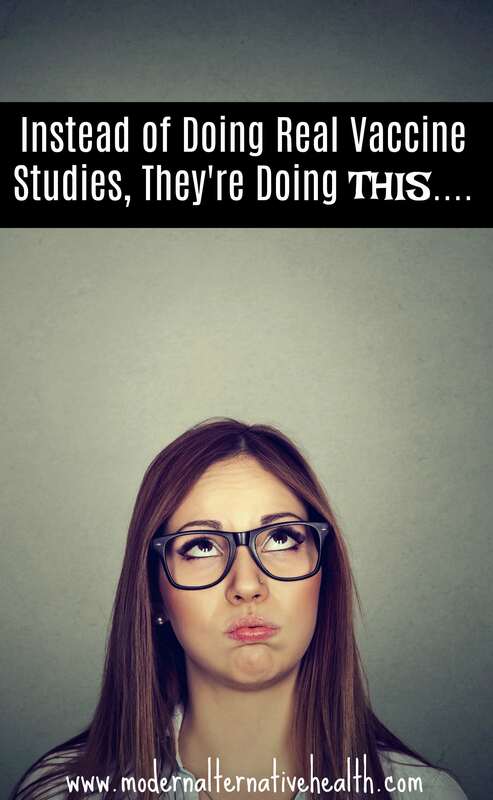 Maybe, instead of writing these ridiculous “studies” and holding conferences on how to coerce and manipulate people into accepting vaccines, they should actually just go out and do the proper studies to answer peoples’ questions. That would go a lot further. I don’t think I could trust them less…but if this is new to you, it might affect how you feel. Is someone who’s pushing you to vaccinate really listen to your concerns and answering your questions? If not…this might be why. It’s time to refocus our efforts on demanding medical freedom and real, scientific answers. We deserve them — not this ridiculous propaganda. How do you feel about seeing this instead of real vaccine studies? Just wamt ti say thank you for the work that you do in this area. It is great to have people who link tp good references and break things down for a beginner to understand. I feel so blessed to have had a friend question vaccines when my oldest was young. It took a lot of skeptical research but, in hindsight, I can clearly see the damage that was being done toy my son. 2 weeks after his vaccines he would get high fevers, the last one being 43C and he didn’t even want to nurse so we took him to ER. 4 sons now and we haven’t vaccinated since. A sidenote: We also unschool. What a great lifestyle it is! Thanks for putting this together!! Its a concise list. Of course, it’s still easy to simply dismiss blanket statements like “vaccine ingredients are linked to all kinds of harm.” But people have to start somewhere. Whats amazing about this subject is that once you break one paradigm, the whole house of cards falls down. Are vaccines safe? Look at the evidence. Are they effective? Look at the evidence. Do they contain retroviruses? Look at the evidence. Do they contain fragmentary human DNA? Look at the evidence. Just pick one path, and off you go. pHarma is expected to be worth $100 Bn by 2022, of which $40 Bn will represent the net worth of the global vaccine industry. No wonder so much effort is going into overcoming vaccine hesitancy. They can’t overcome the issues with vaccines, so they’re focusing their efforts on overcoming our rights as parents, patients, and global citizens. Thanks for your analyse and your questionning who show a point that nobody interagate before. Really cleaer point of vue. Great article. So hoping I get the chance to talk to a parent ambassador who tries to convince me to vaccinate lol. I have so much I’d like to share and so many questions I would love to hear the answer to.